As a child, Michael Bobbitt read the book The Snowy Day about an African American boy enjoying a snowfall hundreds of times, but at the time he wasn’t aware of the book’s significance. 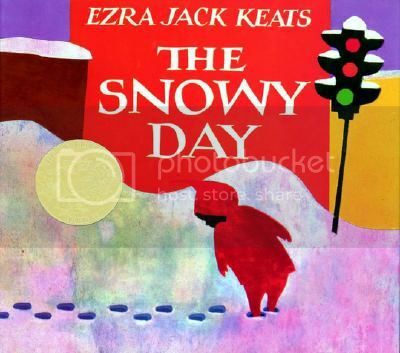 Written by Ezra Jack Keats, The Snowy Day is considered the first children’s book featuring an African American character that broke the color barrier in children’s publishing. This year marks the book’s 50th anniversary, and in observance, a special edition is available that features a photo of the young boy who inspired the book as well as a letter from renowned poet Langston Hughes, a fan of the author. Fast forward to today, Bobbitt is a producer of children’s theater, as the producing artistic director of Adventure Theatre, the longest-running children’s theater in the Washington, DC metropolitan area. 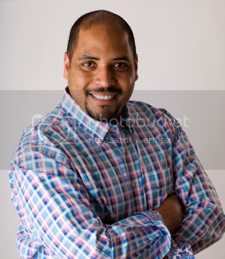 He has made it a priority to ensure that all children experience theater by creating African American Adventures, a series of African American children’s plays. Adapted by award winning African American playwright David Toney, and Howard University professor Darius Smith, The Snowy Day will premiere at Adventure Theater January 20th and run through February 12, 2012. The book truly celebrates African American culture in the characters and the music. We talked with Michael to learn more about the series African American Adventures, how he incorporates volunteerism and philanthropy in his productions and how you can get involved. Please share more about Adventure Theatre's African American Adventures. Why is it important to create a theater experience for every child? What are future plans for the series? As a producer of children’s theatre, an African American and the father of a Vietnamese child, I’m always on the hunt to use theatre to teach our patrons about culture and diversity. When I combed through the cannon of existing African American children’s plays, I was saddened to see that there is a dearth of fictional African American plays. Most of the African American children’s plays are based in historical fact. There are many plays about Harriet Tubman, Jackie Robinson and Rosa Parks. These are our heroes and while their stories are necessary and important, these are all stories about race, and more specifically whites vs. blacks. But, I’m not sure young people think about race the way we do. Their world is filled with multi-culturalism and I hope it will continue. So, I wanted to find stories that celebrate our culture. 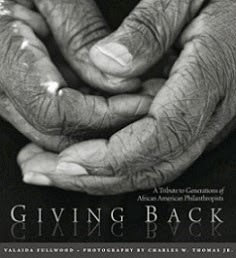 Stories that are not about race, but the significant contributions African Americans have made to American culture. I have committed Adventure Theatre to adapting 5 musicals that do just this. These musicals not only celebrate African American culture, but the themes must be universal. Additionally, these works are adapted for the stage by African American artists. What a great way to share who we are. The first play in the series was an adaptation of MIRANDY AND BROTHER WIND, written by prolific African American author Patricia McKissack. The play performanced last year to sold out audiences at our home theatre in Glen Echo Park, MD and also at the Atlas Performing Arts Center in NE, Washington DC. This play continues to receive awards. 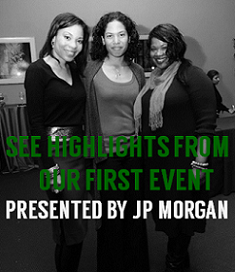 We significantly boosted our percentage of African American patrons, who have continued to return to the theatre. It has been a joy to see that our pioneer project has worked. At Adventure Theatre, young people share in the thrill of memorable theater experiences and broaden their understanding of the universe. This is why we exist. Independent studies show that performing arts such as those offered by Adventure Theatre can have positive impacts on a child’s socio-economic growth, or generally speaking their prosperity. By providing a creative outlet through performing arts, Adventure Theatre is helping to deter delinquent behavior in youths. About future plans for this series, I can’t go into too much detail right now, but we are working on the rights to Amazing Grace, Chicken Sunday and a new musical featuring the music of Bob Marley!!!! View a video of rehearsals for the Snowy Day here. Your programs not only entertain, but also educate on model citizenship, volunteerism, diversity and philanthropy alongside core learning skills such as history and language arts. How do you accomplish this? If you can influence a child at a very young age, they will carry that EVERYWHERE and ALWAYS. I think it’s important, as a non-profit, to do everything you can with the power of your organization. In an effort to expand the experience of seeing a play for our young patrons, we use every bit of creativity to make that happen. A few small things we do – each patron receives a pre-email from us, which has a fun guide (coloring pages, puzzles, etc. ), recipes, facts about the play and the book and other fun things. When the kids arrive, they get a sticker, instead of a ticket. Additionally, many of our plays appear on school reading lists, but we do cross reference our shows with the core curriculum in the schools. When schools come to our theatre for field trips, the teachers are provided study guides. These are interactive guides with lesson plans and other exercises that teachers can use in the classroom before or after they see a play. The other thing that we do is to tie our main stage shows into some sort of community engagement project. So, we partner with other non-profit arts, humanities and social service organizations. For example, when we produced GO DOG GO by PD Eastman, we partnered with the Montgomery County Maryland Humane society to host a Dog Adoption Day. The Humane Society drove their mobile adoption unit to the theatre and we successfully helped them adopt out 8 animals. Adventure Theatre is steadily growing and trying to find ways to get every child to the theatre. A few years ago, we started altering the technical elements of our productions to allow kids with Autism, Asperger’s and other sensory issues to come together and enjoy performances of our shows. This initiative, with our help, was emulated on Broadway at The Lion King. With our support, the Lion King adjusted its performances so that 1600 patrons (families and children) with sensory issues could enjoy a Broadway show, for the first time ever. We also regularly host Celebrate Adoption Weekends and Gay Families weekends. We rely heavily on the support of others to keep our programs affordable. We hope the community will support us, new and old, and continue to enjoy our shows. Contributions are tax deductible. Also, I’m always searching and seeking diversity on our board of directors. So, if anyone is interested, I would love to chat with them. For more information on the Snowy Day and to purchase tickets, visit http://www.adventuretheatre.org/index.html. I love The Snowy Day!!! I've read that book a million times. Glad they are turning it into a musical.